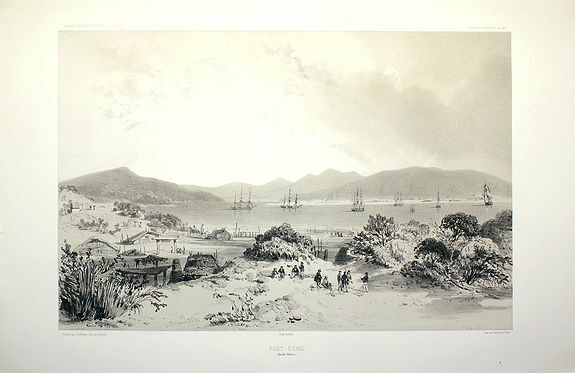 Title : Port d'Otago (Nouvelle Zélande). Map maker : LE BRETON, Louis Auguste Marie. Date : Paris, Gide, 1846. Size : 10.9 x 16.5 inches. / 27.6 x 41.9 cm. Description :Drawn by L. Le Breton and engraved by Sabatier. Condition : Nice and dark print.